88.1 the Park congratulates Brooke Wiggins and Jack Krumm on being selected as Staff Members of the Month for the station. Brooke Wiggins is a Canton Junior and she serves as the station’s Public Affairs Director. She was chosen as Staff Member of the Month in December because of her work coordinating Community Focus. 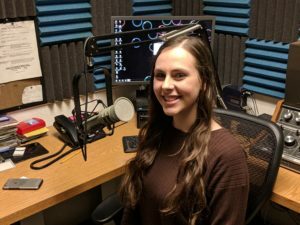 She also was one of the leaders of the station’s effort to enter the Michigan Association of Broadcasters Foundation’s High School and College Awards. 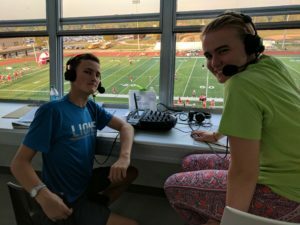 Jack Krumm is a Canton Senior and he is the station’s lead play-by-play announcer. He was chosen as the station’s January Staff Member of the Month because of his dedication to our live sports broadcasts. Jack has also stepped up to become a stronger news writer and reporter, and is setting a great example for hard work at the station.